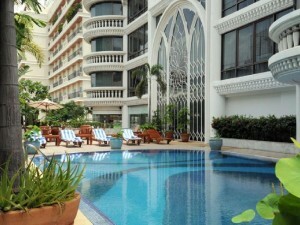 The President Solitaire Hotel is a four star skyscraper hotel on Sukhumvit Soi 11. Rooms on the upper floors have great views of Bangkok. Built in 2001, the hotel isn’t ultra-modern but has large, spacious rooms that are more than comfortable enough for a short or extended stay. 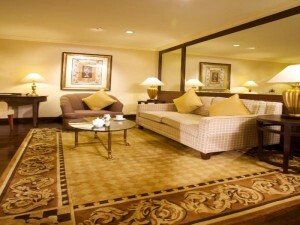 Free Wi-Fi is available in all rooms and throughout the hotel. The hotel’s pool is a great place to relax, with a fitness center available for guests. There are several bars and restaurants in the President Solitaire serving Thai and international food. It takes 10 minutes to walk from the hotel to Nana BTS station, although a free shuttle and many taxis are available on Soi 11.